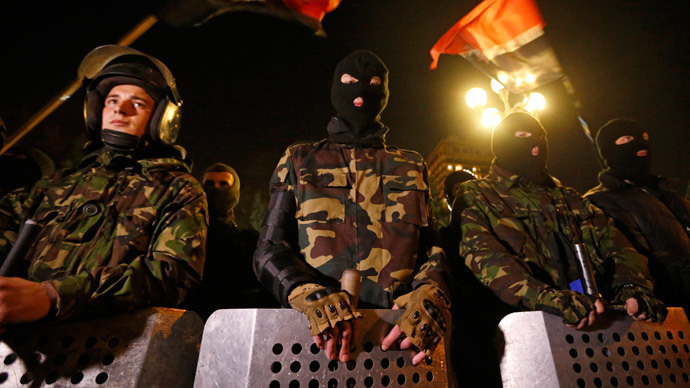 Following a siege of Kiev parliament building by the Right Sector nationalists, Ukraine’s security officials have discussed banning the movement during an urgent security meeting, a source in Batkivshchina party told Ria. According to the source, the meeting was attended by the acting Interior Minister Arsen Avakov, National Security and Defense Council chief Andrey Parubiy, as well as Oleg Tyagnibok, the leader of nationalist Svoboda party. During the meeting, Avakov suggested a complete ban of the organization given the radicalization of the Right Sector, the source said. Parubiy was allegedly supportive of the idea of dismantling the neo-Nazi movement and said such a move would allow those present at the meeting to whitewash themselves of having any connections to the radicals, the source said. Tyagnibok reportedly did not take any sides. Meanwhile on Friday, Verkhovna Rada is also expected to hold an emergency session to discuss the possibility of Avakov’s resignation, after hundreds of Ukrainian nationalists gathered outside the parliament building threatening to storm it unless Avakov takes personal responsibility for the killing of one of their leaders and resigns. 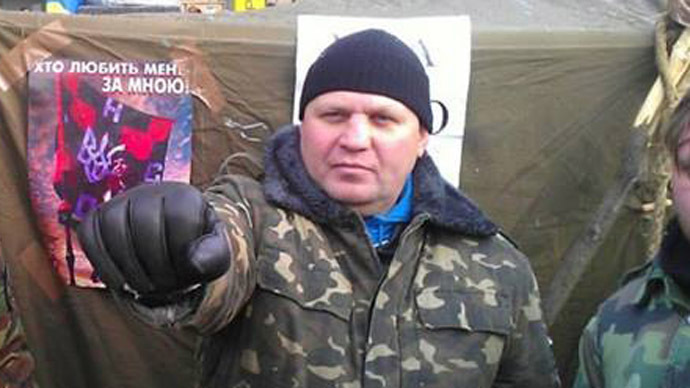 The right-wing militant leader Muzychko, also known as Sashko Bilyi, was killed in a police raid against his gang in Rovno, western Ukraine. The Interior Ministry plans in the next couple of days to unveil the audio files related to the attempted arrest and subsequent killing of Muzychko, Avakov said on his Facebook page on Friday. 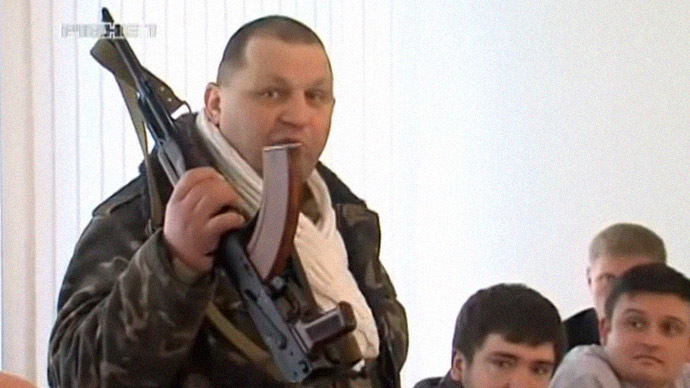 “The Ministry of Internal Affairs will disclose all documents, material, video and audio evidence,” Interior Minister Arsen Avakov said, saying that within the next two days all the audio files relating to Tuesday's shootout will be declassified. “This will give the public more information about the activities involved in the case. 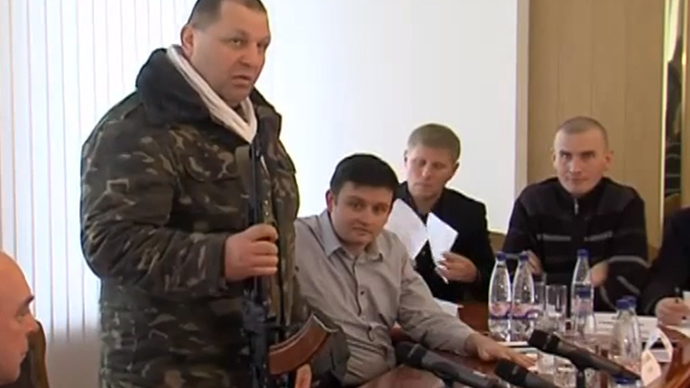 Everyone will be able to decide who is the hero and who vulgar bandit "Avakov said. Dmitry Yarosh, leader of Ukraine's Right Sector nationalist party, is demanding the resignation of acting Interior Minister Arsen Avakov and the arrest of the police officers involved in the killing of notorious radical militant Aleksandr Muzychko. Right Sector is a conglomerate of Ukrainian nationalist forces with neofascist views that has been organized into a paramilitary collective of over 10,000 strong. 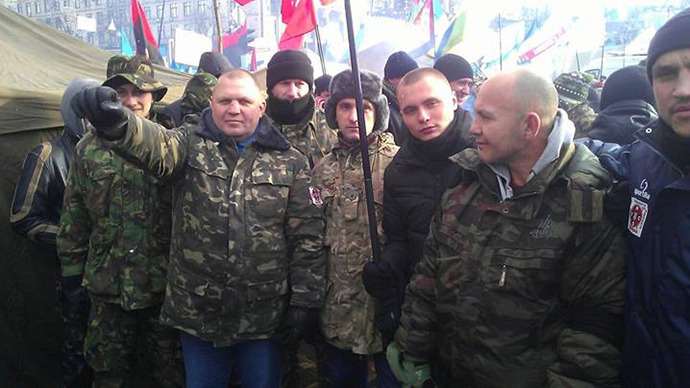 The group first emerged at the end of November 2013 at the Euromaidan protests in Kiev headed by Dmitry Yarosh. Right Sector fighters became notorious for using clubs, petrol bombs, and firearms against Ukrainian police and for wearing Nazi insignia.